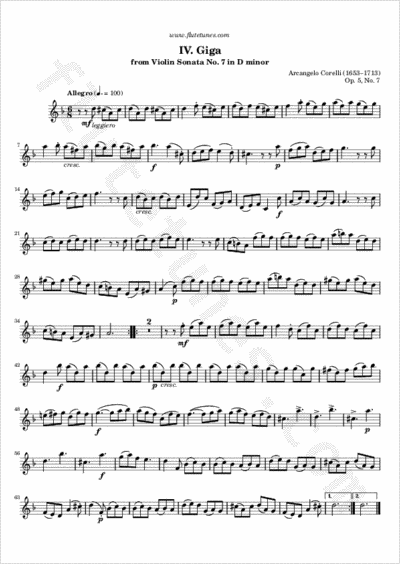 This gigue is the fourth and last movement from Italian Baroque composer Arcangelo Corelli's Violin Sonata No. 7 in D minor, which was originally published in 1700 as part of his 12 Violin Sonatas, Op. 5. As conductor Andrew Manze put it, this is “arguably the finest and most influential set of violin sonatas ever assembled. All other baroque sonatas can be defined as being pre- or post-Corelli'”.